The talented Tumi Morake was born in 1981 in the Free State. Tumi Morake relocated to Gauteng, Johannesburg where Tumi Morake studied at Wits University. After graduating, Tumi Morake worked at the industry, “Arepp Theatre for Life”. Tumi Morake toured with the Educational Theatre Company, countrywide. Tumi Morake has fulfilled her dream as a passionate actress. Tumi Morake began acting at the age of Five and her first musical was “Mmabano Mmabatho”. Tumi Morake is also a scriptwriter for the SABC 3 and has written a script for “Drama For Sale”, in 2007. Tumi Morake officially entered the comedy scene with her Leisure Manager, Parker, in July 2005 and performed her regular stand-up comedy shows in Johannesburg and Pretoria. Tumi Morake has also performed on stage with David Kau, Marc Lottering, Barry Hilton and Chris Forrest. Tumi Morake performed at many Festivals such as “Heavyweights Comedy Jams, Blacks Only, Have a Heart, Just Because Comedy Festivals, The Tshwane Comedy Festival, The Lifestyle SA Festival and Old Mutual Comedy Festivals” to name but a few. Tumi Morake made a special guest appearance in the SABC 2 Afrikaans drama series “Erfsondes” in the role as “Dineo”. Tumi Morake was one of the Five Hosts on the Comedy Central Presents – Live at Parker’s in 2013. 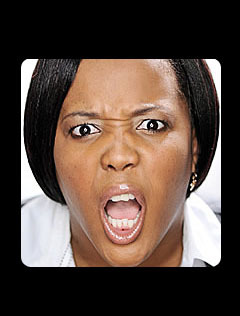 Tumi Morake also had a special stand-up comedy show in the beginning of 2013, called – “Her Story” which was aired on Comedy Central.